Using the analytical methods of network science we examined what could be retrieved from the lexicon when a spoken word is misperceived. To simulate misperceptions in the laboratory, we used a variant of the semantic associates task—the phonological associate task—in which participants heard an English word and responded with the first word that came to mind that sounded like the word they heard, to examine what people actually do retrieve from the lexicon when a spoken word is misperceived. Most responses were 1 link away from the stimulus word in the lexical network. Distant neighbors (words >1 link) were provided more often as responses when the stimulus word had low rather than high degree. Finally, even very distant neighbors tended to be connected to the stimulus word by a path in the lexical network. 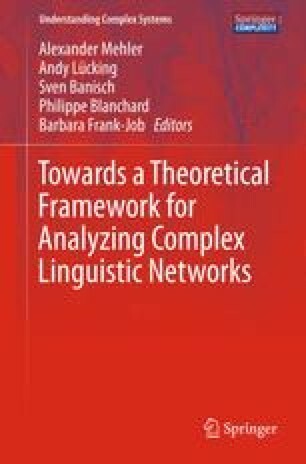 These findings have implications for the processing of spoken words, and highlight the valuable insights that can be obtained by combining the analytic tools of network science with the experimental tasks of psycholinguistics.